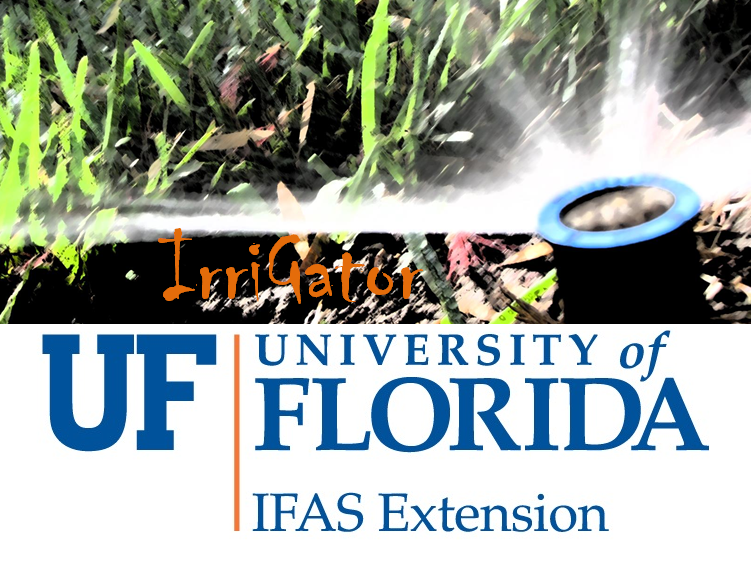 IrriGator blog is pleased to kick-off its spring/summer season with one of the high points of the spring calendar - UF/IFAS Urban Landscape Summit 2019! Focused on all things urban landscape, this year’s event spans two days and includes an optional Green Infrastructure Field Day preceding the summit for extension professionals. The UF/IFAS Center for Landscape Conservation and Ecology (CLCE) hosts the Urban Landscape Summit and Center Director Dr. Michael Dukes agreed to an interview with IrriGator to preview the event. Do you feel there is a more defined theme to this year’s summit than previous years? MD: Yes, that is the intention. We want the group to intentionally think about landscapes, influence of external forces such as water quality requirements (BMAPs/TMDLs). Specifically, how are external forces going to shape future Florida landscapes? The structure of the event has changed this year with an emphasis on more presenters and no keynote speaker. Can you give us some insight into this decision-making? MD: The first day will start with state of the art presentations summarizing research on landscape issues including turfgrass nutrient requirements, water requirements, and breeding as well as soil amendments and water quality associated with urban areas.These presentations will then lead into a panel of external stakeholders that will discuss forces that could change current landscapes into what will become future landscapes. Given the recent red tides and harmful algae blooms, these topics are extremely timely! There is a lot of great research slated for presentation on both days of the summit. Any highlights you’re excited about? MD: I’m excited to hear the updates I mentioned above and in particular to hear from the panel. How do we collectively envision future landscapes? What are the implications for the industry and ultimately the public? This summit will go beyond presentations as in previous summits and will serve to synthesize what we know and help us chart a path for future research priorities. There is still some time left to register. What would you tell a green industry or extension professional on the fence about attending this year’s summit? MD: Register!! 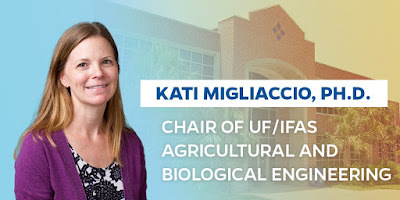 If you want to get a view on the thinking of the people that are closest to the cutting edge research and those closest to policy concerning landscapes in Florida you will not be disappointed! Is this summit one of CLCE’s final events considering the recent announcement of the Center for Land Use Efficiency’s creation? Can we expect a continuation of the summit or events like it in 2020/the future? MD: CLCE will still exist! The formation of CLUE will serve to link existing programs such as CLCE, PREC, and Ag BMPs. The summit has been a key event for our urban landscape programs and will continue. 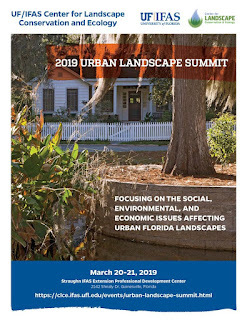 The 2019 UF/IFAS Urban Landscape Summit takes place March 20 - 21, 2019 in Gainesville, FL. Register here. Among the many events that go on during the annual Irrigation Show and Education Conference, one of the more rewarding is the E3 Irrigation Program. 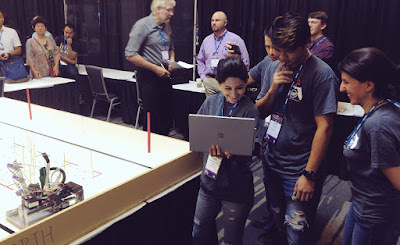 Every summer the Irrigation Foundation invites students from around the country to apply for a week or exposure, experience and education on location at the show. This includes attending classes and networking events, and engaging vendors during the large product expo. 2018’s E3 Learner class included students from 19 schools in 14 states. 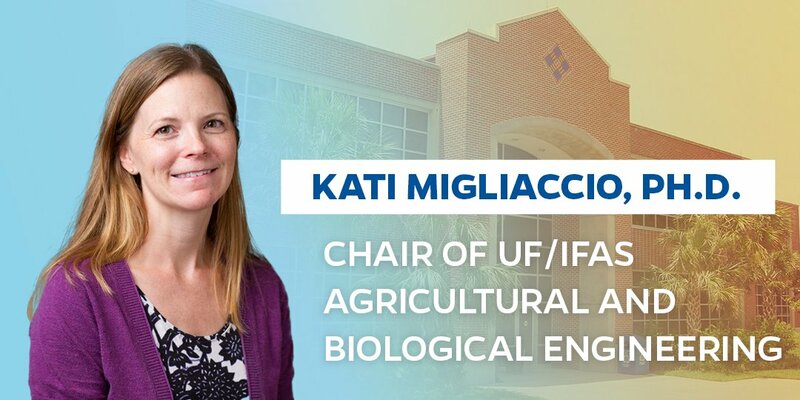 Representing UF were two PhD students from the Department of Horticultural Sciences. They agreed to share a little of their E3 experience with IrriGator. RL: I am Ricardo Lesmes. I am originally from Colombia. Currently I’m working in Dr. Johnny Ferrarezi's lab located in Fort Pierce at Indian River REC. I’m a PhD student in the Department of Horticultural Sciences. We grow premium grapefruit, which is one of the most sensitive citrus species to HLB (Huanglongbing or citrus greening - the worst disease the industry has ever faced). I work with citrus under protective screens. We’re focused on preventing infection of the trees by using physical barriers against the main vector of this disease - Asian citrus psyllid. This production system of groves enclosed in screenhouses is a different microclimate for the crop. I focus on improving the horticultural aspects of the production of high quality fresh fruit. Experiments focus on testing new citrus varieties, testing the effects of different color nets, testing canopy management (automated or manual) and testing irrigation and fertigation management of the groves using soil moisture sensors and weather stations in the screenhouses. NM: I am Natalia Macan, a PhD student at the Horticultural Sciences department. I started my studies in August 2018 and I am still discussing the details of my research project with my advisor, Dr. Rhuanito Ferrarezi. However, I can say that it will focus on irrigation management strategies for HLB affected grapefruit. HLB, or greening, is a disease with severe impact on the citriculture. Regarding the plant, one of the consequences is the reduction of root density. This affects the plant ability to uptake water and nutrients. So, it is necessary to study if the frequency of irrigation events and the amount of applied water should be different from healthy plants. 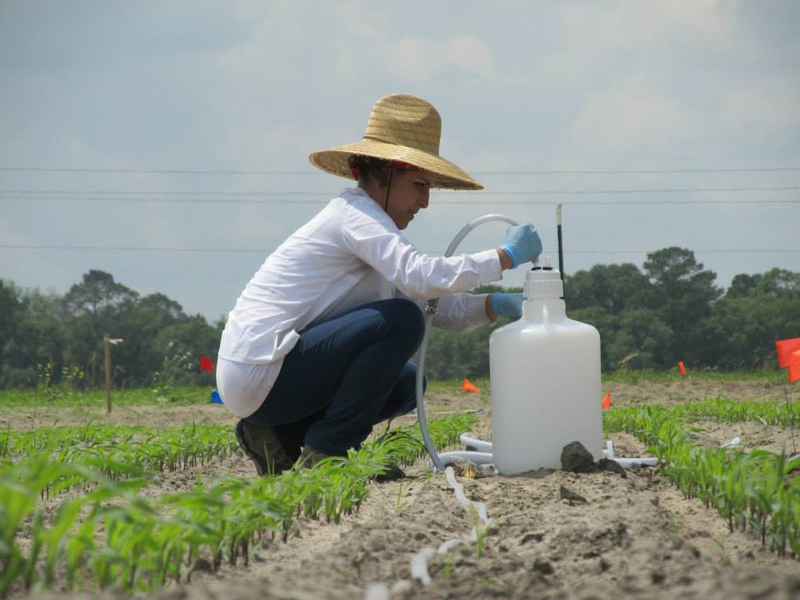 Moreover, most of the irrigation management here in Florida is based on weather data, and the idea is also to test soil moisture sensors. What motivated you to apply to E3? RL: Different motivations. One was networking. I am starting my second year here. The industry production systems and technology level here is quite different from my country. I wanted to get to know the industry, manufacturers, other researchers, and learn about different equipment to improve my knowledge to conduct better research. NM: The main reason was to expand my irrigation knowledge. I have been passionate about irrigation since 2012, when I took my first undergraduate level class. I had an excellent professor (Dr. Tamara Gomes) and I liked learning how to develop an irrigation project. It caught my attention because it involves biological concepts, plants and soil, and engineering concepts, using math and physics to calculate friction loss. I was very excited when Dr. Ferrarezi told me about the E3 program. I knew that it would be an excellent opportunity to improve my knowledge, learn about new technologies and meet people that also work with irrigation. What do you feel was the most rewarding aspect of this week? RL: Everything was enriching to me. I enjoyed the classes. They were useful to improve and update my knowledge in this field. Being aware about all the different resources we have as students and future scientists. The expo is impressive - so many manufacturers and companies that work to improve water management in different fields, always producing better products, integrating technological advancements to manage water better. NM: It is hard to choose just one thing. During the week I had the opportunity to attend many events and each one was special in a different way. At the education classes, I improved my technical knowledge and what I learned about drip irrigation design I am going to use to double check the irrigation system in my experiment. At technical sessions, I became aware of new irrigation research and this will also be helpful for my research because I learned about some difficulties in the use of soil moisture sensors. At the exhibition, I visited many companies and discovered new types of sensors that can be used for irrigation scheduling. I also had the opportunity to meet students, researchers, vendors, all type of people that work with irrigation. However, if I have to choose, there were two most rewarding moments in the week. The first was Mark Eaton’s keynote lecture and his message to help and protect who is around us. We live in a very competitive world and his speech made me think about it. The second moment was the Women in Irrigation Social. We know that irrigation is a male-dominated industry, so it was gratifying to see the room full of women that, like me, decided to follow this career. Would you recommend E3 to students focused on ag or irrigation? NM: Of course! This is a unique opportunity! If you like irrigation, you must participate in the E3 program. As I said in the previous answer if you attend the Irrigation Show and Education Conference you will learn, expand your network and be exposed to new ideas that can be useful in your job/research. RL: Absolutely. This experience not only updates your knowledge but it also gives you the chance to open your eyes and have a wider picture of the industry and see what is going on in a real life sense because it encompasses scientific seminars and also what the industry is doing for growers. Can you give us an idea about what your PhD research focused on? higher yields, is a potential threat to waterbodies. Our project focused on evaluating different irrigation strategies and N fertilizers in corn production with the aim to reduce water and fertilizer use without impacts in yield. As a glimpse of our results, the strategies proposed can provide the same yield as conventional practices, but achieving between 43-53% water savings and near 26% reduction in fertilizer applications. What are some real world applications for the insight your research generated? manage their crops better. Using the proposed irrigation strategies (a soil water balance, soil moisture sensors and a reduced conventional practice) and following lower N application rates, water and fertilizer savings can be achieved without compromising final corn grain yields compared to conventional production practices. BMPs should be followed and implemented particularly in regions more susceptible for N impairment. These results are beneficial for growers, can help reduce inputs to waterbodies while reducing negative consequences in the environment and potentially increase grower's profits. Dr. Dukes’ program develops very skilled researchers that go on to do impactful work. What’s the secret? and its resources. Our major goal is water efficiency and water conservation. target a balance between the environmental and economic sectors. Can you tell us something about what you will be focusing on in the future/after graduation? MZ: My near future will be focused on water conservation in blueberries. 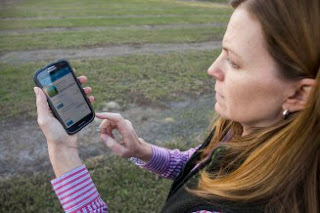 allocation can be improved and irrigation scheduling tools can be developed. Any advice/insight for graduate students just beginning their journey? MZ: Oh yeah! My favorite resources are here and here. Keep a healthy work–life balance.I highly recommend to make a balance between your multiple tasks (exams, presentations, deadlines, reports, write your dissertation, etc) and you. YOU MATTER and without you, nothing will be done. Looking after yourself is key for success. Back up your work! I don't know how many times my computer crashed!...You can avoid many tears by backing up your work. There is not a 'perfect' dissertation. The best one is a finished dissertation. Do not let perfection keep you from making progress. Just WRITE... I would also recommend to start writing as soon as possible. Have a clear NORTH.Discuss it with your advisor and make sure both are in the same page. Write down your objective (s) per chapter and make a plan. Then, follow the plan. A clear plan will help you to maintain focus. Enjoy your Ph.D.! Make time to meet new people, make friends, attend to conferences, intermingle... this is a unique opportunity to create a great professional network that might help you find a job, get to know other people in the near-future or might even be your friends for a lifetime!. Is there anything I did not ask you that you feel the audience should know? MZ: Yes, I would like to mentioned that my project was the baseline for a continuation project in which three Universities are working together (University of Georgia, University of Alabama and University of Florida).This project integrates all disciplines (economic, social and environmental) to ensure economic sustainability of agriculture and silviculture in North Florida and South Georgia while protecting water quantity, quality, and habitat in the Upper Floridian Aquifer and the springs and rivers it feeds. I am happy that our work provides a great source of information for other researchers and it served as a foundation for keeping an excellent work! 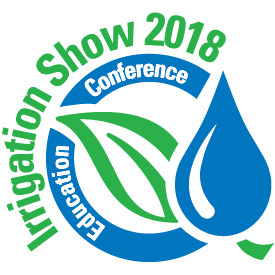 The irrigation industry is gathering next week in Long Beach, CA, for the 2018 Irrigation Show and Education Conference. 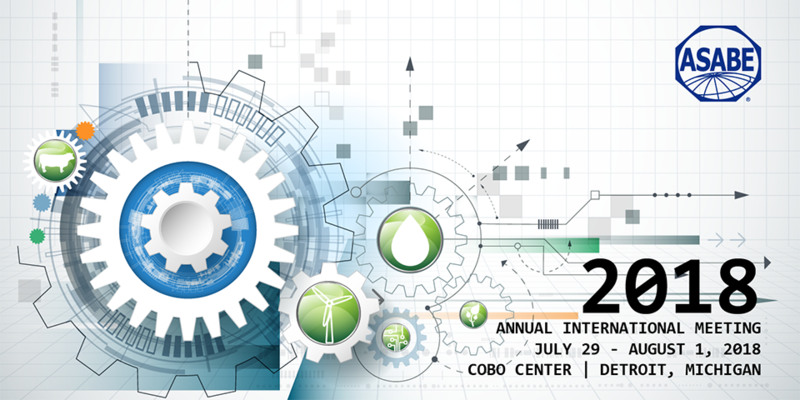 Easily the largest industry event of the calendar year, the Irrigation Show features trainings and certification exams, technical programs presenting new research in both landscape and agricultural irrigation, and a massive product expo showcasing the latest wares from new and established manufacturers. UF-ABE will be present at Irrigation Show 2018. Tuesday morning’s technical program includes two presentations from the Dukes research team’s Bernard Cardenas. “The rain sensor study compares field results of rain sensor performance to modeled results of turfgrass dry out and reinforces the results from our experiments across simulated different soil types,” said Dr. Michael Dukes. The other talk is an update on the long-running work studying smart irrigation technology in residential sites in Orange County, FL. 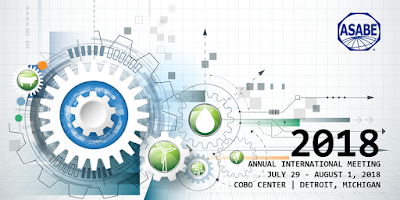 Another exciting aspect of the Irrigation Show is the annual Irrigation E3 Program. E3 invites students from across the country for a week of exposure, experience and education at the event. 2018 includes students from 19 schools in 14 different states! Two UF Horticulture Science graduate students will be making the journey to Long Beach. Watch this space from more about their show experience, and if you see an E3 learner in the crowd during show week do say hello. Since the focus of my work has shifted from research to practice this year, the Irrigation Show is more relevant than ever for me. I’ll be there next week excited to see familiar faces and learn about new products. I’ll also be taking me first ever certification exam. If you are attending Irrigation Show 2018 make sure to get on Twitter and add your POV using the #irrigationshow tag. You'll find me there as well. See you in Long Beach! One of the highlights of every October in the world of water-use research is the WaterSmart Innovations Conference (WSI). The event gathers experts, academics and utility personnel in Las Vegas for several days of presentations on a wide range of water-use related research and initiatives. UF-ABE’s Dr. Michael Dukes, an irrigation specialist focused on efficiency, was in attendance this year and agreed to report back on his WSI experience. Was there any theme to the presentations you chose to attend this year? MD: I guess the theme would be my interest in landscape irrigation water conservation. This ranged from rebate “coupons” (as SNWA calls them for smart controllers) to the use of AMI (advanced metering infrastructure) for customer messaging and future programs that utilities might implement. It is interesting that SAWS gave a talk on the power of randomized control trials as the best approach to evaluate experimental conservation programs. We here at IrriGator have been doing that from the beginning since its conventional scientific experimental design! Did you have a favorite of all the talks you attended? MD: My favorite talks were the ones I tweeted on in general. The SAWS and SNWA talks I tweeted on were excellent based on their thoroughness and relevance to my interests. You presented on irrigation efficiency at WaterSmart. Can you offer a summary for those not in attendance? MD: I discussed the definition of irrigation efficiency and how it can be used to determine a baseline for evaluation of irrigation systems when improving them such as adding smart controllers (Orange County Utilities) and comparing FFL (Florida-Friendly Landscaping) sites to traditional sites. You rarely miss a WaterSmart Conference. Why is this an important annual event on your calendar? MD: Correct! I think I’ve made all of them since inception (2007?). It is the premier water conservation conference in the U.S. It has not just scientists, as many conferences, but also practitioners such as industry and utilities. Great way to see what’s going on across the U.S. and to share what we are doing here in Florida, since most of the dire conservation issues are in California and other western states. Anything we did not cover that you feel the audience should know about your WaterSmart Innovations experience? MD: One last thing is the new wireless soil moisture sensor (SMS) company Spiio (my final WSI tweet). We’ll see what happens with that. Everyone is very interested in wireless tech for SMS but the reality in range and battery life hasn’t panned out in the real world. The B-hyve and Rachio (cloud-based controllers) have been very popular in the SNWA coupon (rebate) program, averaging 800 units/year for the last three years. I’ll be following up on more irrigation tech at the Irrigation Show in Long Beach!